Huesca – Zaragoza predictions, betting tips and preview 06 Nov 2017 – The hosts will suffer their first home defeat of the season! 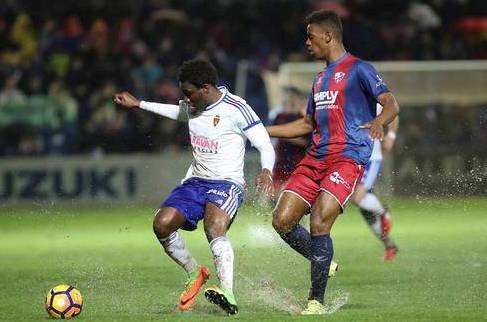 Huesca – Zaragoza predictions for Spain LIGA Adelante match at Estadio El Alcoraz, Huesca. The hosts can surprise! Read on for live streaming info and our free predictions. Do you want to watch live streaming of Huesca – Zaragoza and bet live? Go to bet365 Live Streaming and place winning bets! There are a huge number of contenders for the podium in Spain LIGA Adelante this season, and a dozen teams can claim playoff zone. A serious struggle for promotion is expected and even at the beginning of the season head-to-head battle already looks like a six-pointer! Today’s rivals are among the potential runners-up and this game has great importance for both sides. Huesca and Zaragoza are both hard-to-beat teams, as they played a large number of draws and lost only 5 games for two. The hosts come to this meeting with seven rounds without defeats and the guests have not lost during the same period. Ladies and gentleman let’s get ready to rumble! Both teams have not lost 14 matches for two and 8 of them ended in a draw, so, most likely, today we have the right to expect to see the winner and judging by H2H, the visitors have the advantage. Huesca are only three points from the first place and today can become one of the leaders if they win, Zaragoza lags behind the opponent by five points and will do everything to reduce the gap. Both clubs look capable to beat any rival, because this season they already had several clashes against the top clubs and took points. It seems that no one can stop the hosts at home, because they won 4 games and tied twice so far, moreover, they have conceded only two goals in these matches. However, it is worth noting that Huesca scored more than one goal only in two home games and this can be a problem, because Zaragoza scored two goals in 4 of their 6 outings! This will be an even game, at the same time, bookmakers estimating the guests` chances to win only in 25%. The bet on away win seems risky, but with such betting lines, it will be a smart choice.